Posts Tagged "t shirts sri lanka"
Today we understand the importance of incorporating sports and activities into our daily lives. In Sri Lanka too this trend has caught on with more and more people taking the effort to make time for sports. sport wear in Sri Lanka too has seen growth as people take the care to be properly attired for the strenuous activity. Gone are the days when people would just throw on any old thing and try and exercise. Nowadays people want to look good and be comfortable. Workout clothes should fit well, be comfortable as well as absorbent. While most sportswear is fine for all sports certain sports such as swimming cycling would need specific sports clothing. Comfort, fabric and fit are important aspects to look into when choosing active wears in Sri Lanka. The fabric has to allow your skin to breathe and not stick to your body in an uncomfortable fashion. This will help keep you cool while you work out or play sports. Synthetic fibre is the best as it helps maintain your body temperature which is essential when active. However, if you are not going to indulge in very strenuous activities then you can opt for cotton which is soft, but only if you do not anticipate heavy sweating. Another very important facto to pay attention to is fit. Your sports clothes should fit well so that they do not flap or hang about when you are exercising. The best thing is that sportswear comes in a range of different styles so that you can choose kits that suit your personal style and personality. Females especially should be sure to wear very supportive undergarments and always opt for sports bras for comfort and practicality. Males should make sure to wear a protective cup if playing group competitive of contact sports. Of course last but not least is to ensure that you are wearing the correct footwear. The correct footwear will keep you comfortable during your sport activities and will also keep your feet and ankles secure with proper support. It also helps you perform better. In Sri Lanka you find a great selection of good quality fashionable sport wear that is reasonably priced. If you have not already you should definitely update your sportswear wardrobe which will inspire you to incorporate even more activity into your life. A healthy life is a happy life so go find your perfect sports wear kits. Long a hit with red carpet starlets, emerald will get a bit of extra attention in 2013 as Pantone’s Color of the Year. 17-5461 is the official ID – speaking of, are Pantone IDs the equivalent of Social Security numbers for colors? When their glory days are behind them, and they’re sent off to an old age home for hues we can see Honeysuckle sitting around with a cup of hot cocoa complaining to Turquiose that Pantone payments just haven’t kept up with the cost of living, but we digress. 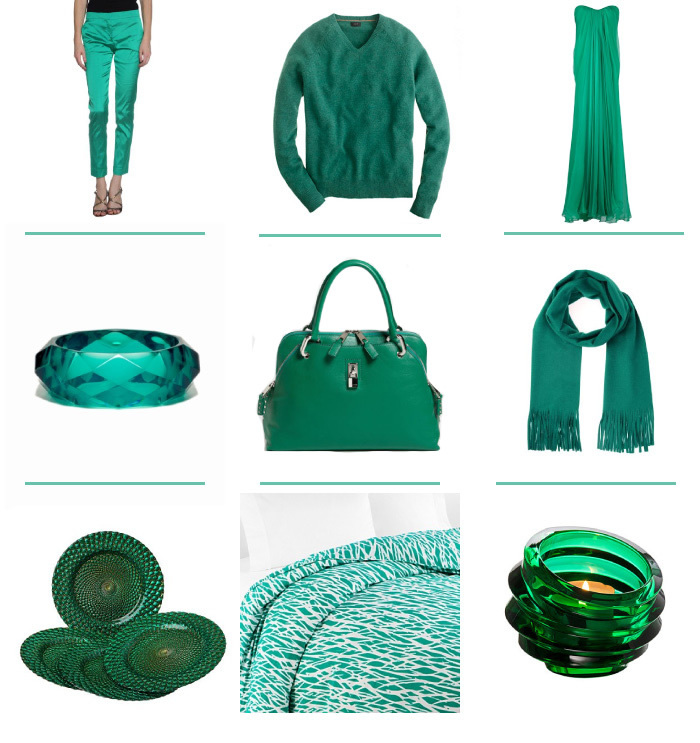 Emeralds, though often admired for their strong, vibrant green cuts, actually have a beautiful range that includes greens tinged with just a hint of blue (our favorite, and an ideal shade to complement the turquoise color of the year items still in your closet or around your home) and even pale, glassy shades that wouldn’t be recognized as emeralds at first glance. Pantone seems to have settled on the slightly bluish green shade to represent the spectrum. 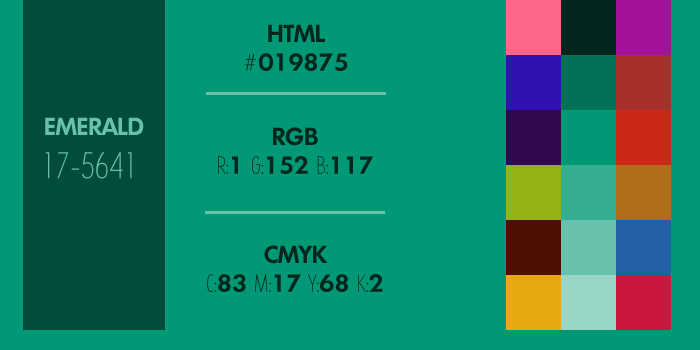 For design geeks, we present the RGB, CMYK and HTML Hex codes of Pantone Emerald, between a few complimentary and contrasting spectrums. For those who are just reminded of their love for the shade and want ways to incorporate it, try these 9 emerald style and home pieces.